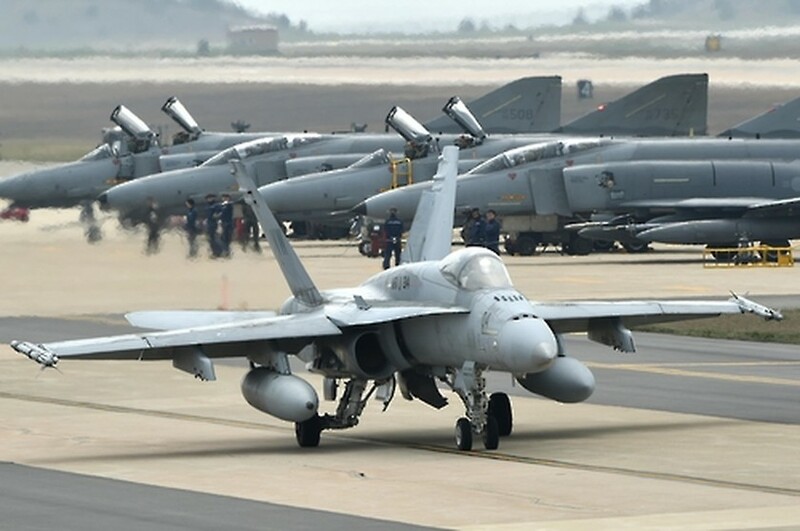 South Korean and U.S. forces kicked off their annual aerial exercise, the military here said Wednesday, the latest in a series of maneuvers aimed at enhancing combined defense capabilities against evolving threats from North Korea, source from the Yonhap. The allies began the Vigilant ACE exercise as part of a broader effort to hone their skills to better counter the North's nuclear and missile capabilities. The latest drill is set to run till Monday. The U.S. military based in South Korea did not make any comments. The two sides will focus on simulating strikes on mobile missile launchers, radar systems and other key military facilities, an official said, asking not to be named. This year's exercise involves some 450 U.S. troops as well as South Korean forces. The allies said F-16, KF-16 and F-15K fighter jets, as well as an EA-18G Growler electronics warfare plane will take part in the exercise. The exercise came amid lingering tension on the Korean Peninsula after the North conducted two nuclear tests and launched some 20 missiles this year alone. Military officials said the drill is regularly scheduled and not related to the current situation on the divided peninsula.